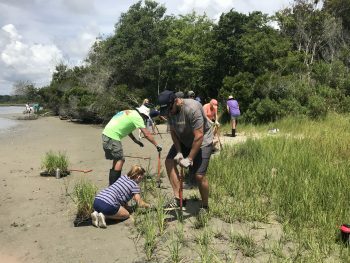 On Thursday, July 5, 25 volunteers enjoyed a beautiful day at Stump Sound in Holly Ridge to help the North Carolina Coastal Federation install plants along the shoreline. 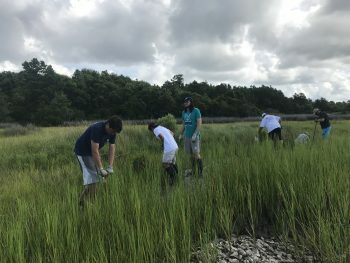 The volunteers helped to plant 1,000 spartina alterniflora plugs on Stump Sound. 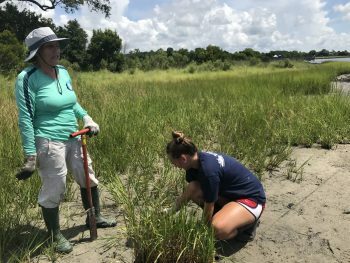 These plants help to stabilize the shoreline and restore estuarine habitat. They also contribute to clean water and flood prevention. 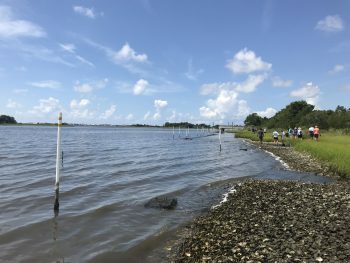 The planting process is part of phases four and five of the Morris Landing Clean Water Preserve five-phase project. 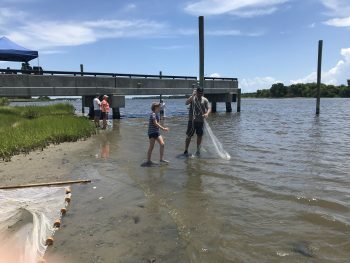 Volunteers were also able to pull seine nets and toss cast nets to observe the diversity of the juvenile fish and crabs that populate the estuary. A number of the volunteers were students from Cape Fear Community College’s culinary program. 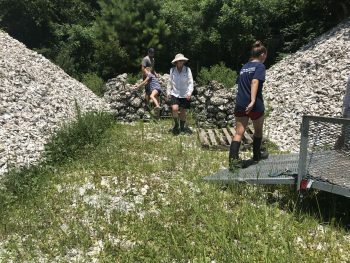 These students help with the federation’s living shoreline and oyster restoration projects in order to learn how a healthy estuary is closely related to the food that we consume. The culinary students later treated everyone to Lumpia Shanghai (Filipino Spring Rolls) that they made right on the pier during the lunch break. 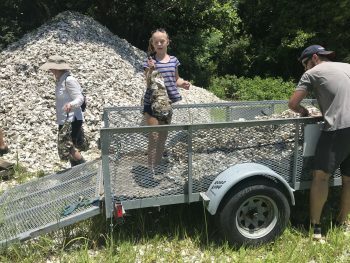 Morris Landing is an important piece in the federation and Division of Marine Fisheries’ plan to restore oysters, enhance shellfish habitat and maintain a sustainable oyster fishery in the waters of Stump Sound and other surrounding waters. 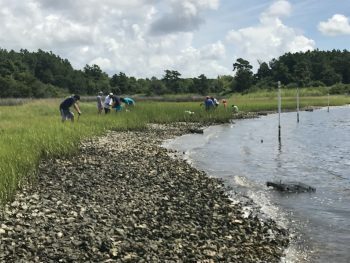 The Morris Landing Clean Water Preserve has over 3,000 feet of shoreline along Stump Sound and contains coastal shrub scrub, forest habitat, salt marsh and tidal creek areas. 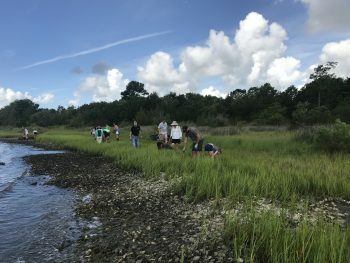 For more information on living shorelines visit nccoast.org/livingshorelines or the Living Shorelines Academy.